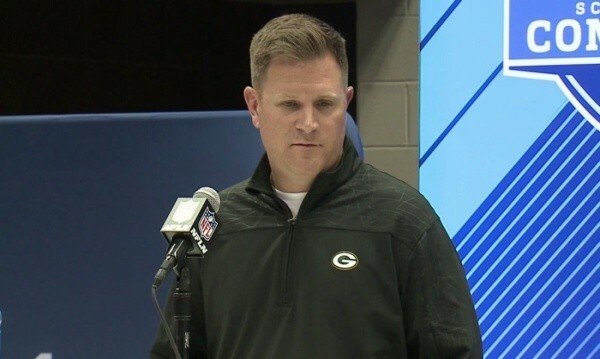 The always sycophantic Wisconsin media and the large segment of Packers fans who wear their Green and Yellow glasses year round have spent the past seven days praising the work of new GM Brian Gutekunst. Call me negative – I know many of you already do – but I find very little to get excited about. At least so far. Gutekunst began his busy week by trading Damarious Randall to Cleveland for DeShone Kizer and a swap of day 3 draft picks. For all of his faults, Randall was far and away the team’s best corner last season. His departure leaves an even bigger hole at the position – one that has yet to be filled three days into free agency. As for Kizer, he went 4-8 at Notre Dame in 2016 and 0-15 in Cleveland in 2017. The Browns, whose front office includes four highly respected former Green Bay executives, couldn’t wait to unload him. Is Kizer better than Brett Hundley? Maybe, maybe not. That tells you all you need to know. And while the exchange of picks could certainly benefit the Packers, that remains to be seen. Remember, with the very same pick at the very top of round 4 a year ago, Ted Thompson chose Vince Biegel over Carl Lawson, who had 8 1/2 sacks for the Bengals. Next, Gutekunst signed free agent Jimmy Graham to a 3-year deal worth $30 million. That’s a lot of money for a 31-year-old tight end who caught only nine passes thrown more than 10 yards past the line of scrimmage in 2017. And while Graham did grab 10 touchdowns, let’s remember that Jordy Nelson found the end zone six times in the first five games of last season. It’s a good bet the now former Packer would’ve scored at least 10 TDs by Thanksgiving had Aaron Rodgers not gotten hurt in week 6. Simply put, the offense needs a lot more than short TDs from Graham. He needs to be a threat down the middle of the field – something he wasn’t a year ago. Was that due to the Seahawks’ poor offensive line and scheme or was it due to Graham running out of gas? For the sake of the Packers, it had better not be the latter. 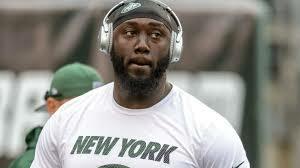 Street free agent Muhammad Wilkerson joined the Packers on Wednesday. Like Kizer and Graham, his former team – the woeful Jets – had absolutely no interest in bringing him back. That’s because of the 315-pound defensive lineman went from great to ordinary the minute he signed a five-year, $86 million contract extension on July 15, 2016. He compounded his uninspired play with his uninspired attitude. Wilkerson was late to meetings so often that coach Todd Bowles benched him last December. Despite these major negatives, this is probably the best of the three moves. 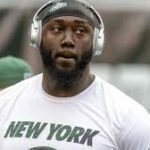 Wilkerson is still only 28 and he should be motivated to turn his modest $5 million deal into a far more lucrative one. Whether motivation alone is enough remains to be seen. He looked noticeably less explosive in 2017 than he did in 2015. Gutekunst ended the week by signing cornerback Kyle Fuller to an offer sheet. It took the Bears less than three hours to match it and keep arguably their best defensive player. This came as absolutely no surprise. Chicago entered free agency with three times as much cap space as the Packers, so there was little Gutekunst could do to put together an offer that would dissuade GM Ryan Pace from matching. In the meantime, the highest rated free agent corner left on the market (Rashaan Melvin) signed a 1-year deal worth $6.5 million with Oakland. The Packers reportedly had serious interest in the late-blooming ex-Colt. Even if Kizer, Graham, and Wilkerson wind up being exactly what the Packers hope they’ll be, the team still has huge holes on both sides of the ball. They still need a wide receiver to start opposite Davante Adams. They still need to solidify the right side of the offensive line. They still need edge rushers. And they still need capable cornerbacks. Boy, do they still need capable cornerbacks. And while it’s only March, there’s only so much one can realistically expect from what’s left of the free agents and the draft. Right now, the Packers – even with the great Rodgers under center – seem to have fallen behind Philly, Minnesota, New Orleans and the Rams in the highly competitive NFC. That means Gutekunst has some catching up to, and in order to get there, he’s going to need to be better in the next seven weeks than he’s been in the past seven days.